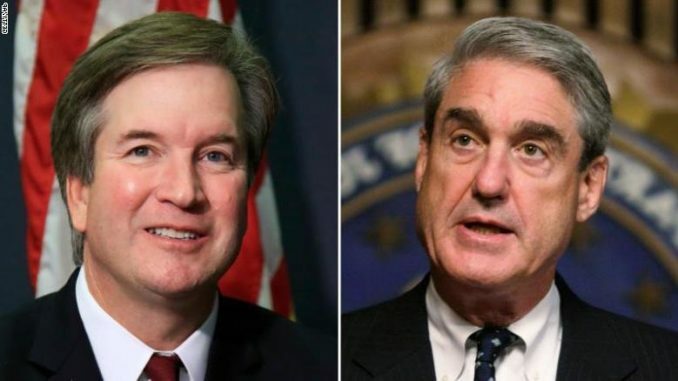 The Supreme Court has finally taken interest in the Russia witch-hunt and blocked a subpoena issued by Special Counsel Robert Mueller. Chief Justice John Roberts stayed a contempt order Sunday night, marking the first time the Supreme Court has intervened in the Mueller inquiry. Dailycaller.com reports: Very little is known of the case, which reached the justices on Saturday, because the matter has proceeded through the federal courts under seal, meaning strict confidentiality prevails over every detail. The company appealed that decision to the Supreme Court Saturday. The corporation faces a fine for every day that it fails to abide by the subpoena. Though Mueller’s connection to the case has not been definitively established, several facts indicate the special counsel’s involvement: CNN saw senior Mueller lawyers return to the Justice Department immediately after the conclusion of a recent secret hearing in the matter — an entire floor of a Washington courthouse was sealed in advance of that proceeding, a highly unusual move. What’s more, Judge Greg Katsas, President Donald Trump’s first appointee to the D.C. Circuit, recused himself from this case. Katsas was a lawyer in the White House counsel’s office in the early days of the Trump administration, where he handled topics bearing on the Mueller probe. During his confirmation hearing, the judge told lawmakers he would recuse himself from cases relating to Mueller’s investigation.